The whole world is under the control of the devil, and the devil’s disciples control all doctrines taught in all seminaries. They teach that the Commandments were done-away. They also promote the idea they were given “only for the Jews,” but we know they were given to all Yisharal, and are intended to be taught to all nations, since Yisharal are as priests to the nations. Altering and omitting the Commandments (which train us how to love) has caused lawlessness to increase, and love to grow cold. YashaYahu (Is.) 56:3+4 show that foreigners join to Yahuah and the Shabath day is specifically mentioned, as it is at Hebrews 4:4. There is to be “one law” for the native-born as well as the foreigner (Num. 15:15). Ecc. 12:13 tells us the “end of the matter” is for all mankind to obey Yahuah’s Commandments. Who is it the dragon fights against? From this verse, we can deduce that the dragon is not fighting against those who do not guard Yahuah’s Commandments. Yahusha lived nothing like a Christian; He kept the Commandments. Christians are taught not to keep them. By deduction, they are not Yahusha's followers. When we assemble all the facts of this thesis, we discover most everything we've been taught to practice are the things that are impossible - we've been unaware of the paradox. This is the Red Pill; once taken, you're awake. 2. a situation, person, or thing that combines contradictory features or qualities. DUCT TAPE & HOLY WATER WON’T FIX THIS; YOU’LL NEED REASON. You’ve heard of the elephant in the room that everyone ignores? When the Truth sets us free from the pulpit trance, suddenly we are aware of a herd of elephants that’s been stampeding through our lives all along. All Scripture means all. Paradoxically, none of it is used to teach, reprove or instruct anyone for any kind of work - instead, we’re trained not to be legalistic. Yahusha lived nothing like a Christian; He kept the Commandments. Christians are taught not to keep them because they are not Yahusha's followers. Scripture is twisted to teach us not to obey, and if anyone actually does what it says and walks as Yahusha did, they are persecuted as heretics by being labeled legalists. Yahuah told us to be fruitful and multiply; Catholic and Hindu traditions promote vows of celibacy. Scripture tells us to not touch, and certainly not eat, the carcasses of unclean animals; pulpits tell us it’s fine for us to eat them now. The sign of the “eternal” Covenant is the 7th day of rest each week, but Constantine decided the sign could be moved to the 1st day, His day of the Sun. In the year 365, the Council of Laodicea ordered Christians to work on the 7th day and rest on the 1st day. Those who did rest on the 7th day were anathema. To be a good Christian, a person cannot live in any way at all as Yahusha lived, because He obeyed the Commandments. The concept of a “Commandment-keeping Christian” is an oxymoron. The harlot’s golden cup has intoxicated the whole world. Yahusha is not a Christian. He gave the Ten Commandments to mankind, ordered them to be obeyed by all mankind (Ecc. 12:13), scattered the tribes into the nations for not obeying them, came in the flesh to live and teach them, told His followers to go into all the world to teach the nations everything He commanded them to obey, left Scriptures saying the dragon would be enraged and fight those who obeyed the Commandments, said if you love Me, guard My Commandments; and yet so few perceive the enormity of the paradox. If we follow the broad road, we will find our teachers have led us to our deaths. When we listen to Christian teachers, we have to stop thinking logically, and just believe what we’re told. 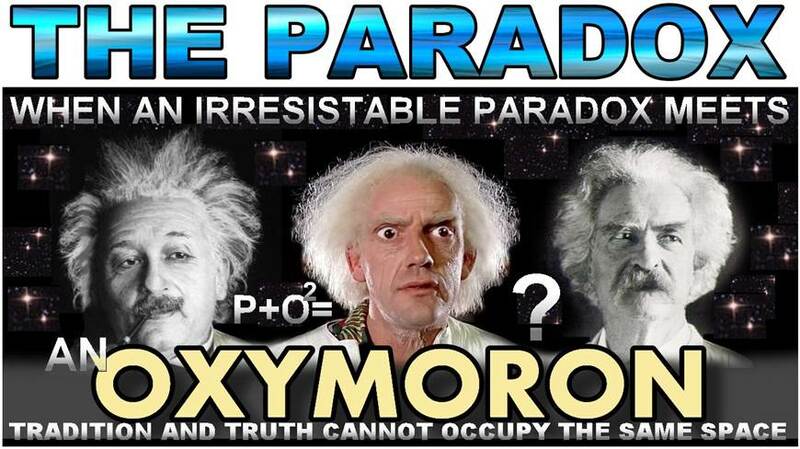 When I tried to reconcile all the paradoxes, my head would overheat and make my bald spot grow larger. It became painful to sit and listen to all the contradictory statements, or read the common translations with all the footnotes fighting against what the text was saying. The more I studied Scripture, the more I could sense I had been exposed to brain-washing. They use triggers to deflect our thoughts. Each time I read certain verses, the words would trigger my mind to the ideas someone had programmed me to think about. It was like I’d been hypnotized to think about what the text triggered in me, rather than what the text actually said. A breakthrough came when I realized my pastor at the time was unable to recognize how much of our behavior contradicted what we see described in Scripture. He voiced His disapproval of me resting on the 7th day, didn’t correct me with Scripture, but instead cited councils and the writings of the Alexandrian fathers. All his words were dead to me, and I was very aware of the lukewarm heart condition of the man I’d been supporting to help teach me how to please my Creator. He could not lead anyone to the Truth, only away from it. Going to the circus every week (Sunday morning) to listen to a man explain what the Scriptures tell us to do didn’t match what the words were really saying we should do. Everything was tradition. It was easy to see that nothing I did in real life matched anything Yahusha did, and those around me seemed to have no interest in living like He did. They were not interested in His real Hebrew Name. The raving against “legalists” only grew louder over the years as many others decided to walk as Yahusha walked, guarding the Commandments as they are written, leaving men’s folly behind. Things began to make sense as the Word renewed my thinking, and the paradoxes vanished. We are witnessing the fulfillment of the Repairers of the Breach. We are awakening to call on the Name of Yahusha, and expose the controller. The sign of the everlasting Covenant is being restored: “And those from among you shall build the old waste places. You shall raise up the foundations of many generations. And you would be called the Repairer of the Breach, the Restorer of Streets to Dwell In. If you do turn back your foot from the Shabath, from doing your pleasure on My set-apart day, and shall call the Shabath a delight, the set-apart day of Yahuah esteemed, and shall esteem it, not doing your own ways, nor finding your own pleasure, nor speaking your own words, then you shall delight in Yahuah. And I shall cause you to ride on the heights of the arets (Earth), and feed you with the inheritance of YaAqob your father. The Information Age is here, and social media has swept-aside the controlled media. People can get to the Truth of things instantly. The World Order acts as though we are still in the Middle Ages when people were controlled by the old methods. We speak to each other now, and the old talking-head approach only serves to increase our suspicion that we’re being fed information to further the agenda of an unseen hand. The Truth can now penetrate the haze, and the more it does, the more we see how we were being controlled and deceived. Many are taught there is no absolute Truth. We see ideas becoming powerful movements, i.e., Humanism. Situation ethics is their moral compass. The three stages of Truth show that understanding Truth is a matter of being exposed to it. The Truth doesn’t need to defend itself; it’s self-evident. Yahuah's thoughts are higher than ours. Yahuah says He is One, and Hebrews 1 confirms this; yet we let our minds become numb to the paradoxes. We believe any excuse they give us, believing they must know the Truth. We are programmed to think only what is placed in our heads by men, but by study, and pursuing the will of Yahuah, we can resist the doctrines of demons. Pastors claim to teach the Truth, yet they have allowed all the pagan fertility festivals to be adopted. We hear them say “We teach the full Gospel.” If this were true, they would teach their congregations to live by every Word that proceeds from the mouth of Yahuah. We live on the only known planet in the universe having intelligent life. Earth is a prison for fallen malakim, as well as fallen humans. We are set free from the world’s pattern of rebellion by choosing LIFE, and living by the Word. Yahuah’s Torah is Truth, and gives wisdom to those who live according to its instructions. Psalm 1 says those who meditate on His Torah day and night are blessed and whatever they do prospers. Psalm 119 says His Torah is forever. After Yahusha’s feet come down on the Mount of Olives, all nations will come to celebrate the festival of Booths (Zek. 14:16). All flesh will come to bow before Him from new moon to new moon, and Shabath to Shabath (YashaYahu / Isaiah 66:23). By Torah we learn to love one another. The ones who learn to live by the Word are truly the followers of Yahusha, and they know the Truth, and have been set free from the false reasoning of men. The Word tells us that those who turn away from Torah are like chaff (Ps 1:4), their prayers are an abomination (Prov 28:9), they have no light of dawn (YashaYahu / Is 8:20), and by not receiving a love for the Truth, will be sent a strong delusion to believe a lie. In the end, the gentiles will declare they inherited nothing but lies (YirmeYahu 16:9). Those who teach us are the source of the doctrines of demons (lawlessness). Yahusha is the manifestation and exact representation of the Greatness of Yahuah’s Presence (Heb 1:3). He is the Living Word, the Author of Life, and the One Who gave us the Torah. He lived by every Word of Torah, and disappointed in those who put men’s traditions in place of His Torah. If He is the same yesterday, today, and forever, and He does not change, how could He possibly alter His own Word and be pleased with followers who shun His Torah even more than those He called hypocrites 2000 years ago? If we love Him, we obey Him. It's foolish to think that if we turn (repent) and obey His Torah today, He would be displeased with us. Our obedience only offends men’s teaching authorities. False teachers tell us our works (obedience) is as filthy rags; but Yahuah said to obey is better than offerings (1Sam 15:22). Should we ever trust those who hate Torah? We are in a cloud of paradoxes, but those who can hear the Voice of their Shepherd can follow it and be restored to favor with Alahim. We are delivered from sin, not to sin. We are Natsarim, the sect of which Paul was called a ringleader (Acts 24:5). We Natsarim are so convicted that the Torah is the Truth, we actually do what it says. They practice Hindu customs and don’t know it.